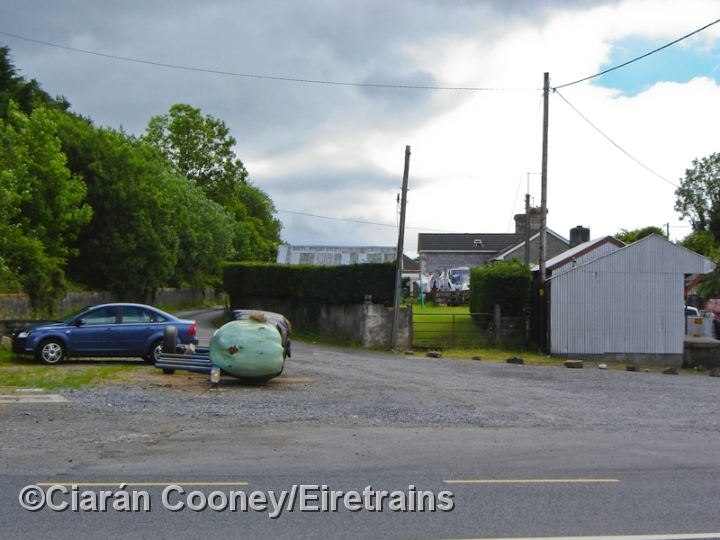 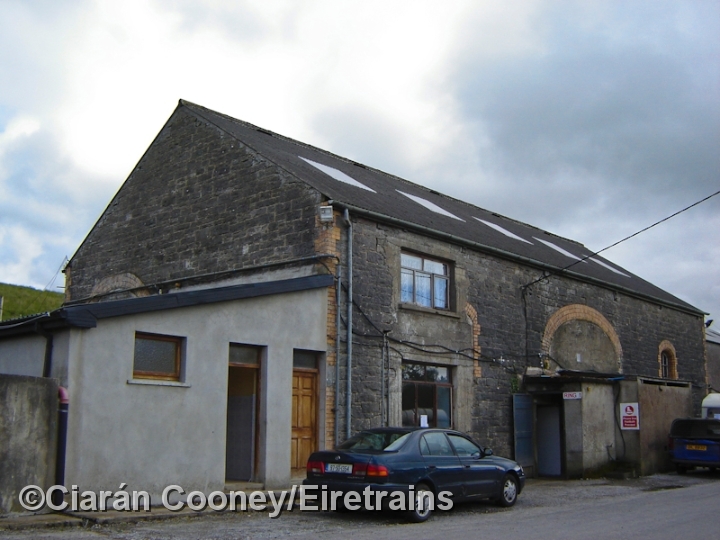 Manorhamilton, Co.Leitrim, is located roughly half way between Sligo and Enniskillen, and this is where the Sligo Leitrim & Northern Counties Railway built its main workshops on their line which ran between these two important towns. 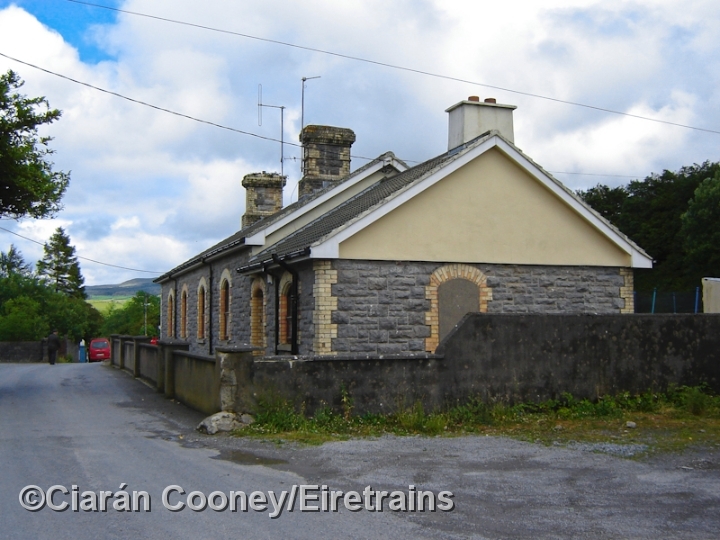 Opened in December 1880, the SLNCR line was forced to close in November 1957, following the Great Northern line closures west of Enniskillen. 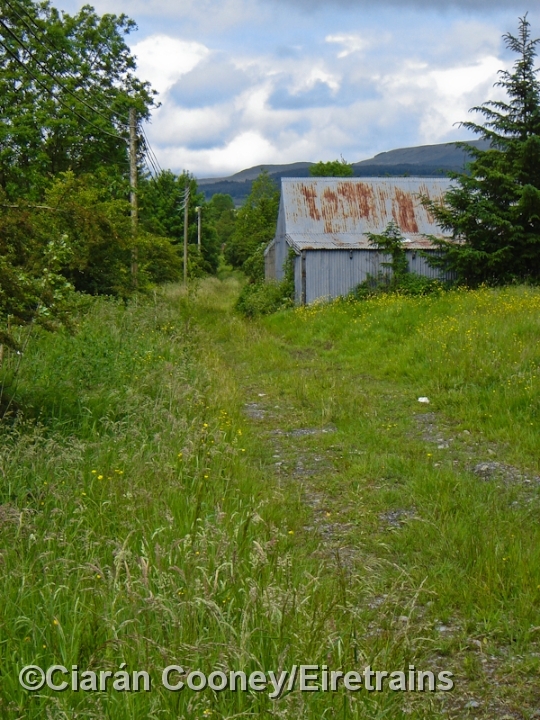 The track was lifted shortly afterwards in 1959. 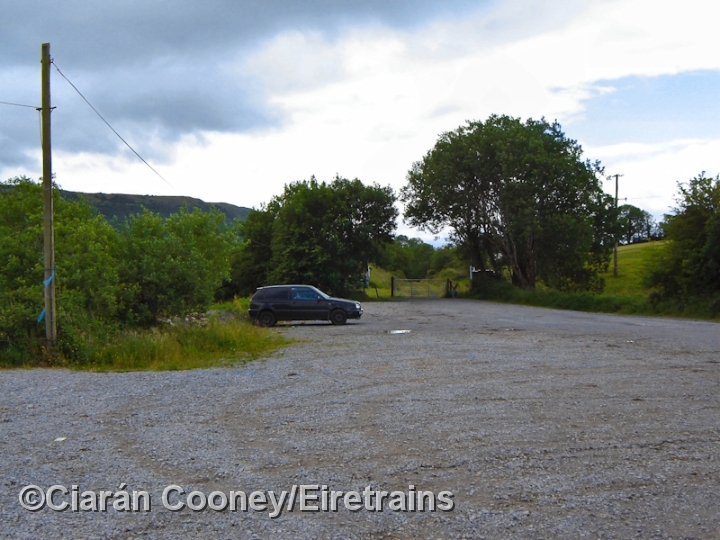 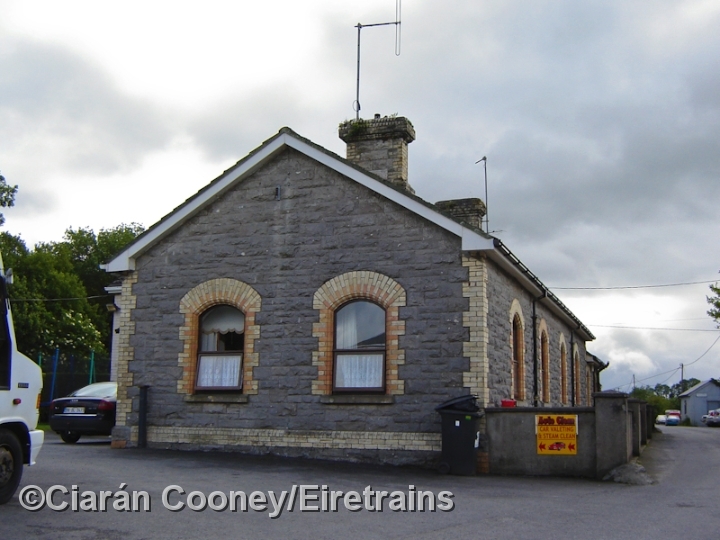 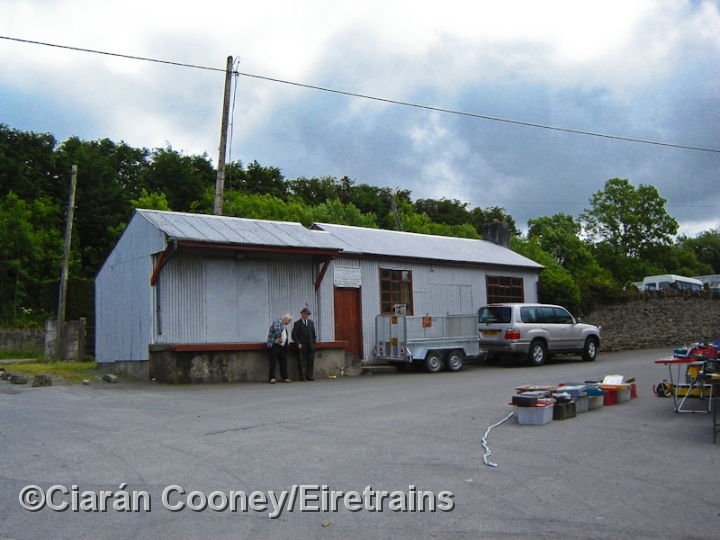 The single storey stone built station building at Manorhamilton remains intact, complete with its adjacent corrugated iron custom buildings, originally used for inspecting cross border traffic. 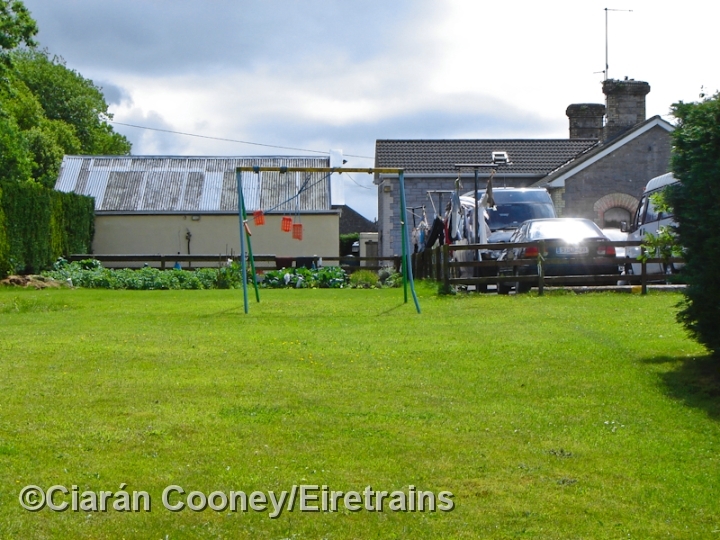 The site of the up & down platforms is now the garden of the former station. 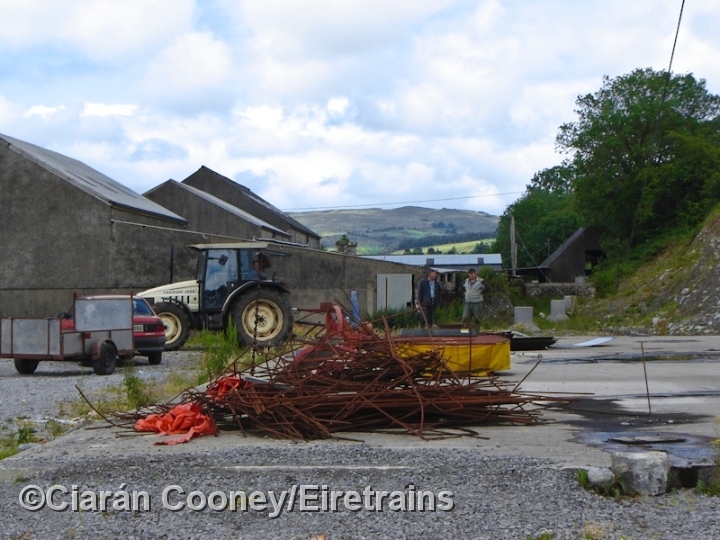 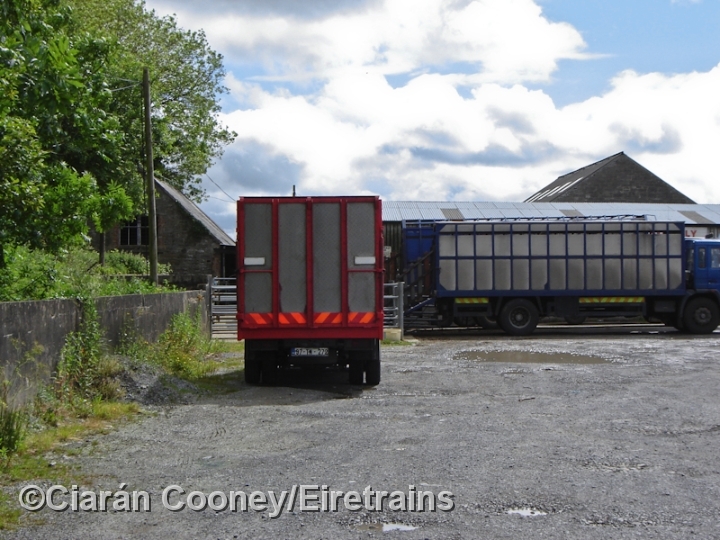 At the east end of the station only the locomotive shed and stone storage building remains, the rest of the site is occupied by a cattle market. 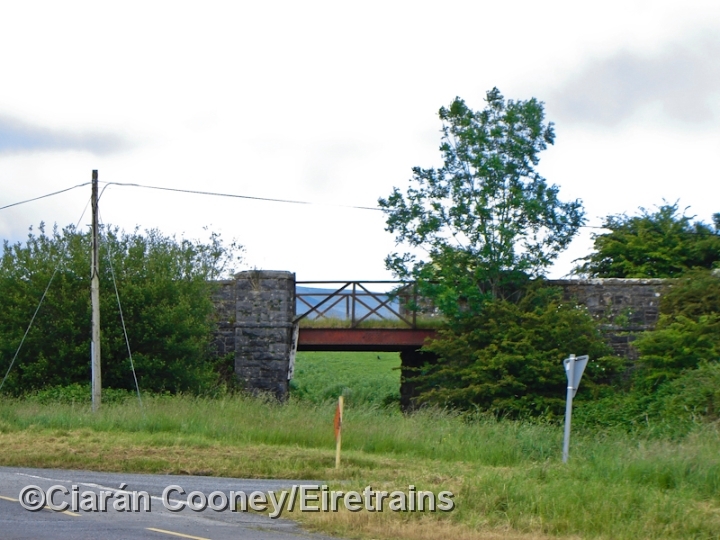 The site of the level crossing at the west end of the station on the N16 road has been widened significantly, but the trackbed of the line remains as a farm track at either end of the station area.